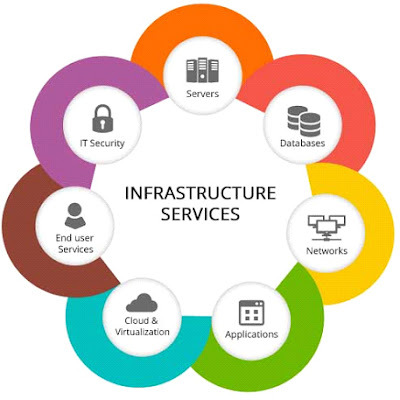 Before you can understand how IT Infrastructure Management services can help you bring down the operating costs of your business, you must understand what these services have to offer. In a nutshell, these management services remotely manage and administer all your IT related devices and operations. This will include everything from your desktop computer to your servers and networks. These services are dedicated to ensuring nothing goes wrong. If they do come across a glitch, they take all necessary measures to fix it as soon as possible. Once you have hired an IT service provider, the first thing you will notice is the reduced requirement for manpower. This is the first thing when you come to know that cost cutting will get much easier. However, this is not the only way remote infrastructure management services can help you cut costs. These services can also bring down your costs in terms of future investments in information technology related equipment. In fact, if used well, your company can save up to 30% or even 40% just through these services. Most of IT Managed Services offer customizable packages; this way you can select a service and a package to suit your requirement. The service providers’ expertise can be used to adopt standardized practices and optimization of infrastructure that can bring down future investments by a great margin. However, it must be observed that IT management infrastructure services go well beyond cost-cutting. These services help companies optimize their operations to a great degree to guarantee better productivity and results. As mentioned earlier, the flexibility of services available these days is one of the greatest advantages given to company owners. These IT services can be customized to your requirements. In fact, the option of customization brings down costs by a great degree. These days IT Services starts from the ground up, with IT policy and strategy. It takes into account the IT architecture, its design, and plan. It includes many facets like installation and management of hardware, software, related equipment tools and facilities, IT personnel, Desktop Management, Security arrangement, asset management, database management, application development, and more. IT management played a very critical role in the overall profitability and achievement of organizational goals as good management ensures less occurrence of IT issues and resolve problems before there is any impact on business continuity. Each enterprise has a unique set of IT management practices that are developed over a period of time to meet the distinct needs and challenges of the organizations.